Tainted Nations’ music can be described as a commercial, modern and powerful sounding rock mix. Rock N Growl and Tainted Nation are currently shopping the recording “F.E.A.R.“, produced by Pete Newdeck and mixed/masterd by Dennis Ward, securing a record deal very soon, to get out live and start the talking. Reunited ’80s melodic heavy rock band DRIVER — featuring powerhouse vocalist Rob Rock (IMPELLITTERI, JOSHUA, WARRIOR, AVANTASIA, AXEL RUDI PELL) and acclaimed guitarist/producer Roy Z (BRUCE DICKINSON, HALFORD, JUDAS PRIEST, SEBASTIAN BACH, ROB ROCK, TRIBE OF GYPSIES, HELLOWEEN) — has completed work on its new album, “Countdown”, to be released later in the year via Metal Heaven in Europe, King Records in Japan and RockZilla in the U.S. According to a press release, “Countdown” is a mixture of brand new material and several rescued-from-the-vaults demo gems, which interlock seamlessly for a classic DRIVER-style album, aided by Roy Z‘s emphasis on vintage production values that harken back to the glory days of early 80’s heavy metal ala DIO‘s “Holy Diver” and OZZY OSBOURNE‘s “Diary Of A Madman”. DRIVER is centered around Rock and Roy and features original drummer Reynold “Butch” Carlson (JAG PANZER, JOEY TAFOLLA, TRIBE AFTER TRIBE), along with seasoned players Ed Roth (GLENN HUGHES, RONNIE MONTROSE, IMPELLITTERI) on keyboards and Aaron Samson (ODIN, GEORGE LYNCH, JOHN 5) on bass. Chiefly recorded and mixed at Roy Z‘s California-based studio, “Countdown” features additional contributions coming from bassists Ray Burke (LIFE AFTER DEATH, BRUCE DICKINSON) and Daniel Cordova (SHADES OF CRIMSON, VENGEANCE RISING), as well as veteran vocalist Mark Boals (YNGWIE MALMSTEEN, ROYAL HUNT). Mastering duties were again handled by Maor Appelbaum (HALFORD, SEPULTURA, YNGWIE MALMSTEEN). The last DRIVER album, “Sons Of Thunder”, was released in September 2008 via Metal Heaven. 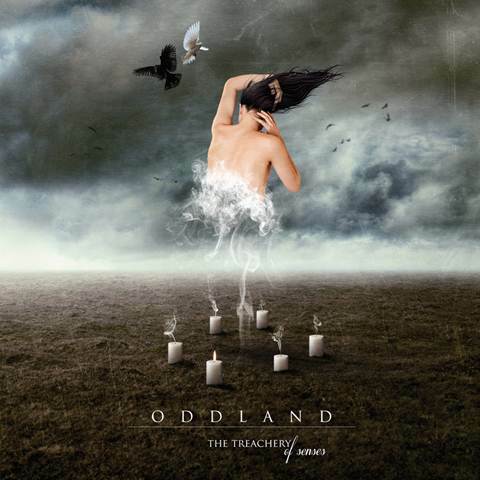 Progressive metallers ODDLAND are premiering a second album track, “Flooding Light” from their upcoming album, “The Treachery Of Senses” which will be released on April 30th via Century Media Records and will be available as regular CD and digital download. Swedish Viking Metallers KING OF ASGARD made an astonishing impact on the scene with their debut album Fi’mbulvintr, released in 2010. After playing a bunch of festivals and club shows in 2010 and 2011, KING OF ASGARD will enter the recording studio today to nail the new songs down! The recording will once again be held at the Sonic Train Studios with engineer Andy LaRocque (KING DIAMOND). The second KING OF ASGARD album will be entitled …To North, being the first one featuring new second guitar player Lars Tängmark. Song titles include ‘Gap Of Ginnungs’, ‘Plague-Ridden Rebirth’, ‘Nordvegr’, ‘Upon The Mountain’ and ‘The Nine Worlds Burn’. 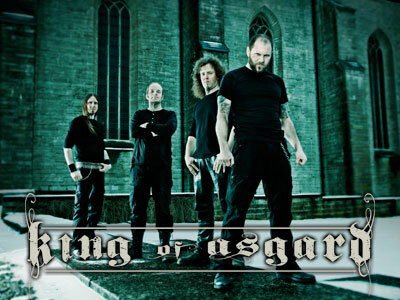 In other news KING OF ASGARD are confirmed for the Ragnarök Festival taking place April 13-14 in Lichtenfels, Germany. Antonis “Jey Key” Katsaros of Greece’s webzine Rock Overdose recently conducted an interview with former BLACK SABBATH singer Tony Martin. A couple of excerpts from the chat follow below. Rock Overdose: You are singing with a lot of passion in your voice. That is one of the reasons that people love to hear you. What advice would you give to the young singers out there? Tony: For their voice, you mean? Well, I made a terrible mistake when i was younger and just sang without thinking about it… I damaged my voice so many times, but when you are young, it heals very quickly… but after a few years it stops repairing so quick and then you have a problem. You see many older singers struggling these days because of age and repair time… The best thing is to look up some vocal exercises and work on them. There are many different ones — maybe hundreds — but as long as you are exercising your full range, it will help. Now it’s hard work for me. I have to exercise my voice every day or I lose it very quickly. The only thing that was good from the mistake is I found a voice sound that worked. But apart from that, it was a mistake. Rock Overdose: Let’s go back to the SABBATH days. Which of those albums that you made with BLACK SABBATH is your favorite? Tony: Better to ask which one I don’t like. That would be “Forbidden”. The rest are very cool. Rock Overdose: Which was your best time with SABBATH? Tony: I guess the best time was when we seemed to be friends and the band was working well. After “Eternal Idol” when it was just a session… “Headless Cross” through “Tyr” and into “Cross Purposes” was the better times…. But the times when I was not chosen for the job was horrible. Rock Overdose: Unfortunately, BLACK SABBATH guitarist Tony Iommi‘s health problems didn’t made the famous SABBATH reunion that they planned. How are your relations with Iommi? Have you been spoken lately? Tony: SABBATH haven’t spoken to me for over 15 years. I met Iommi very briefly in Russia once and he said I was doing a great job with my band. But apart from that, I haven’t heard from them at all. Rock Overdose: You announced your new band, Tony Martin‘s HEADLESS CROSS. Can you introduce us the members of the band? Tony: Ah… yes.. well there is myself, of course … And Magnus Rosén from the band HAMMERFALL… very nice man and amazing bass player. 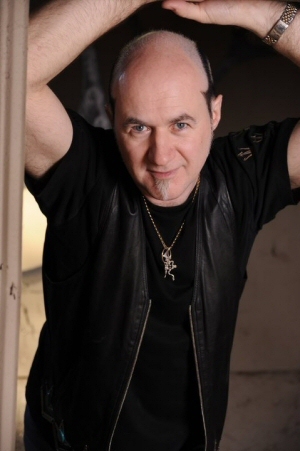 Dario Mollo on guitar… You may recognize him from the CAGE albums that I did. Danny Needham currently works with VENOM, but he has been my drummer for many years and I trust him completely…. Also Geoff Nicholls of BLACK SABBATH, who you will know very well. Rock Overdose: Are you working an album or this band will be only for live shows? Tony: Right now I need a band for live shows. I am planning a return to the stage if all the conditions are right. Rock Overdose: Finally, what should we wait from Tony Martin for now on? Tony: I have five projects running and THE CAGE is the first to be released but I also did record another GIUNTINI album and i have a new project running with a band called SILVER HORSES, a kind of blues, ZEPPELIN-type sound — very English sound, but another Italian project. And there are solo albums and I hope a tour and lots of Tony Martin-related things happening in the next few years. And I will be happy to talk to you about these as they happen along the way. 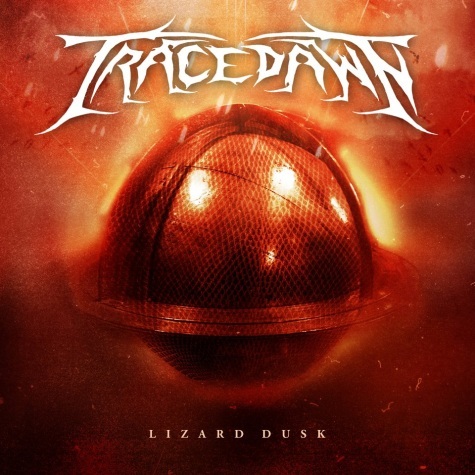 Finnish metallers TRACEDAWN will release their new album, “Lizard Dusk”, on February 15 via Redhouse. The CD was produced and co-recorded by Tuomas Yli-Jaskari, Perttu Kurttila and Vili Itäpelto at Seawolf and Redhouse Studios, mixed by Henrik Udd at Studio Fredman in Sweden and mastered by Mika Jussila at Finnvox. “Lizard Dusk” marks TRACEDAWN‘s first recorded output since the departure of singer Antti Lappalainen (vocal duties are presently shared between Niko Kalliojärvi [LITHURIA, ex-AMORAL] and guitarist Tuomas Yli-Jaskari). The “Breed Insane” video can be seen below.